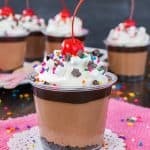 Looking for a cute and easy dessert for your next event? 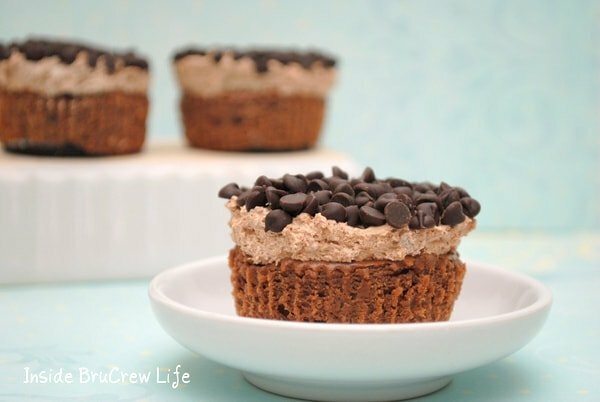 These Brownie Batter Chocolate Chip Cheesecakes are the perfect mini dessert bites. So, I have come to realize that as I get older, the way my kids “celebrate” my birthday is getting more technological. Yesterday morning (and by morning, I really mean the middle of the night) I was awakened by the most obnoxious sound. Now when you are not used to hearing alarms go off at 4 am, it isn’t the easiest to determine where it is coming from. The sound was coming from right beside my bed, so at first I thought it was my phone. Nope, not it. My laptop was also right there. I honestly thought the sound must be coming from it, but I had no idea how to turn it off. Like I said, I’m not used to getting up that early, so I might have been a little confused. Now my husband already knew this was going to happen because my oldest son had told him about my birthday “present”. So he turned the light on and laughed as I struggled to figure out what was happening. On the corner of the table by my bed was an old iPhone box hiding behind some books. I finally realized the annoying and very loud sound was coming from the box. As I opened the box trying to figure out why a box would be waking me up, a card fell out…along with my son’s iPod. That little stinker thought it would be funny to be the first one to say Happy Birthday to me. Then around 6:30 (mind you, I’m not a morning person, so that’s still too early to get up usually) my daughter brought me her present…her cute little self singing happy birthday. Only it wasn’t live! She had recorded it on her iPod and it was turned up as loud as possible and she put it right beside my ear. Yes, I was feeling the birthday love for sure 🙂 Thank goodness the next two “presents” were a little more loving. My youngest just had a card and a hug to wake me up with, and my hubby let me sleep in while he took the kids to school. Then he brought me coffee in bed to wake me up later. It was a good day for sure, even after being awakened “loudly”. 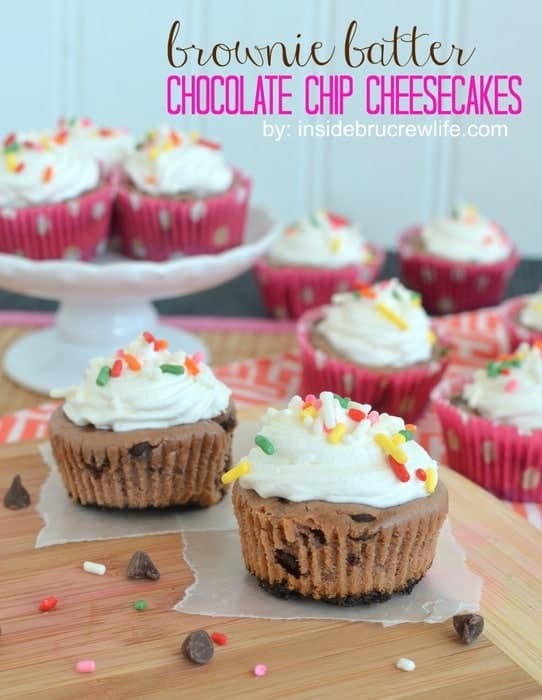 I may or may not have enjoyed a few of these Brownie Batter Chocolate Chip Cheesecakes for breakfast yesterday too. Hey, calories totally don’t count on birthdays right? I sure hope not because I ate way too much yesterday. It was a good calorie kind of a day. Cheesecake for breakfast, Alfredo for dinner, and cupcakes and cheesecake cake for dessert…I’m thinking I should run extra for the rest of the week to make up for it. These mini cheesecakes are the perfect little treat for anytime of day or any party. They have just enough brownie mix to make them taste like brownie but still taste like cheesecake. The small Oreo crust and the extra mini chocolate cheesecakes give it that little bit of extra chocolate without going overboard. They are teeny tiny, so you won’t feel guilty eating 5-6 at a time. The Cool Whip and sprinkles are optional, but it makes them look so much more fun, so why leave it off? 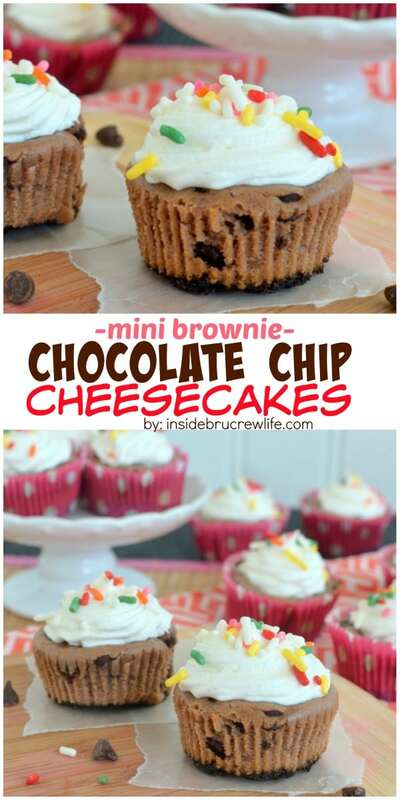 These miniature cheesecakes get a chocolate twist from brownies and chocolate chips. Perfect little treats for celebrating anything! Place a small spoonful of crumbs in the bottom of mini muffin liners and set aside. Beat the cream cheese and sugar until creamy. Add the eggs and vanilla and cream again. Stir in the dry brownie mix and mix again. Stir in the chocolate chips by hand. Place a small spoonful into each prepared mini muffin liner. Fill the liners almost to the top. Bake at 350 degrees for 17 minutes. Remove and let the cheesecakes cool completely. Top with Cool Whip and sprinkles just before serving. Keep refrigerated. Makes about 48 mini cheesecakes. You could also bake these in 24 regular muffin tins by increasing the bake time to around 25 minutes. Yeah, he is a funny boy!!! Hahaha your kids are too sweet! What a great birthday 🙂 And of course calories don’t count on your birthday!! These mini cheesecakes are too cute. And I’m loving the brownie mix you added to give them that delicious brownie flavor. Wonderful idea! Pinning! It’s a good thing calories don’t count on bdays…I ate my fair share!!! Thanks for the pin love! Brownie batter is the best. I still like cookie dough more, but brownie batter is second for sure! These look awesome…..as do all you creations! Cookie dough is definitely pretty delicious…I need to make some more with that flavor too!!! Yum! What a great combination for a cheesecake! 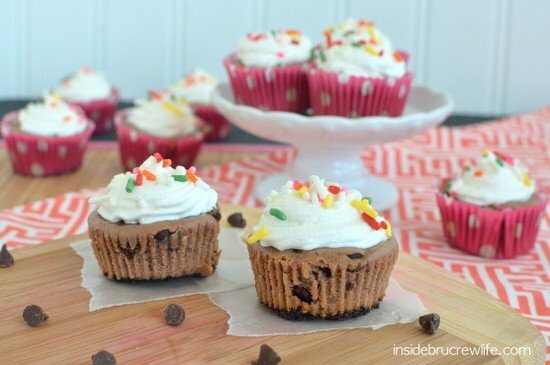 Peanut butter mousse on cheesecakes and now brownie mix IN them?! You’re killing me smalls! Lol your mini cheesecakes are gorgeous Jocelyn!! Happy late birthday! These look so good! Pinning for later. Thank you so much for the pin and birthday wishes! Happy Birthday! I’m not a morning person either so I would’ve hated waking up that early! The mini cheesecakes would have been perfect to eat for breakfast though! Mornings are the worst…although I have learned that the middle of the night is even less enjoyable! Awe Sally thank you for such a sweet comment. I really do enjoy making cheesecakes!!! I hear you on the brownie batter obsession…I have another treat that is waiting to be photographed if the sun ever comes back out! Sounds like you had a wonderful day–even if it did start too early! Love these little yummys. They look delicious. Those are so super cute!!!! Those would be great for a kids b-day party! Sounds like a great birthday! 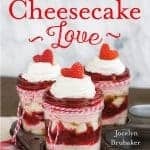 Love that you put brownie mix in the cheesecake! YUM! Happy Birthday! 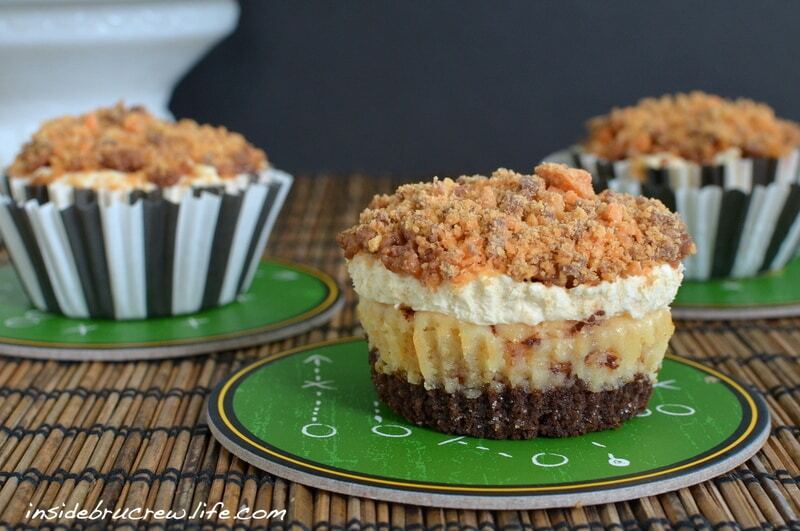 These mini cheesecakes look delectable… a perfect treat to celebrate with! Thank you Emily. They were perfect to wake up to that morning. I agree 100% with you…very yummy! 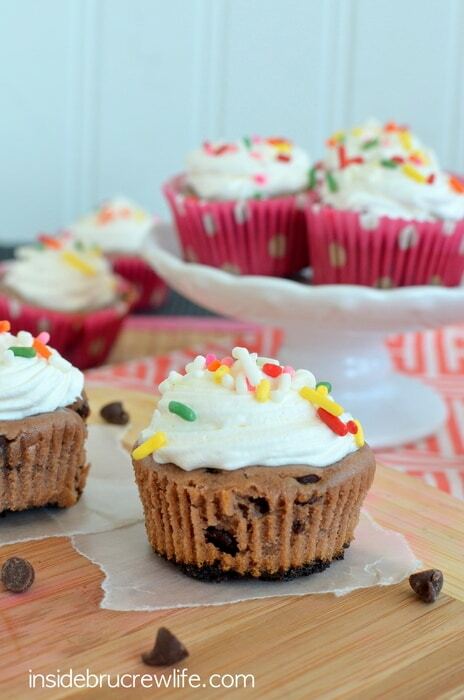 These have all the elements…gooey, brownie batter, choco chips, cheesecake…and so cute! I love trying to include all my favorites in one glorious and cute treat. Thanks Averie! Brownie batter AND cheesecake…I’m so in love right now! I love this cheesecake recipe…and the other cheesecake recipes you shared as well. 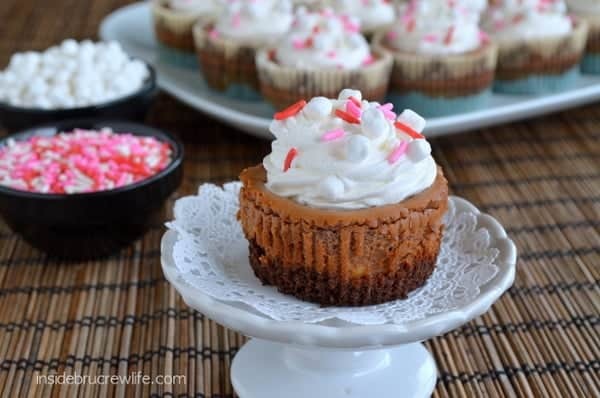 Mini cheesecakes are one of my favorite desserts to make! There is just something so fun and satisfying about little cheesecakes!!! I’m glad you like them too! I am really liking this recipe! 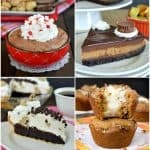 These cheesecakes are absolutely fabulous! haha! Believe me! I wasn’t that thrilled to be awakened by the annoying alarm. I can definitely laugh about it now…then NO!!! Glad you had a great birthday! What sweet birthday presents/wishes from your kids! :) and this cheesecake looks amazing!! These sound amazing! I’ll definitely be making these and probably also eating far too many. Happy birthday! You won’t regret that decision…they were so delicious!!! Whoa – those look delish! Thanks Christi 🙂 So glad you like them!!! Cheesecake for breakfast? Oh yes! I must remember that for my birthday! It is definitely the best birthday breakfast!!! Yeah, it’s funny now, but when it happened…oh boy! So not cool!!! Brownie + cheesecake AND AN OREO CRUST???? Love, love, love. 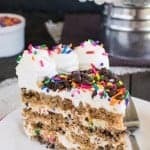 so, I always love seeing what new, crazy awesome dessert you come up with, but then you have to throw all of those additional recipes at the bottom. I’m such a sucker for your food! LOL! I do come up with some crazy desserts huh? I love knowing you enjoying stopping by to see my latest recipe creations 🙂 I heart you!!! We have the same birthday! Looking forward to treating myself to these! Happy Birthday Megan!!! That is so cool we have the same special day!!! 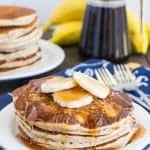 Yum, these sound amazing!! You make such great desserts! My friends used to come to my house early and scare/wake me up for my birthday then take pictures of me with my eyes half open! Hello people we want to sleep in on our birthdays!! I sure bet these cheesecakes made up for it though. They look divine! Oh no!!! That is such a horrible…and funny…thing to hear! So you know exactly how I was feeling that early in the morning! We both need some of these cheesecakes to make up for it!!! Those are two of my favorite desserts, so I can’t wait to try them all mixed together in a cute little package. 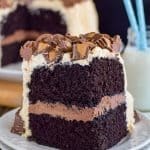 It is always fun to combine two favorites into one delish treat!! I hope you get a chance to give them a try!!! Yum! Calories definitely do not count on birthdays…or vacations! Can I use the ready made Philadelphia cheesecake filling? (husband thought he was doing me a favor by buying the 24oz tube but didn’t read the label correctly). Is it still 1 cup of brownie mix if I want to make a whole cheesecake instead of the 48 mini cheesecakes? Well, the ready made cheesecake filling is going to totally change the recipe, as you will not bake it. You could use this filling and beat in the brownie mix and then fold in some Cool Whip to make mini no bake cheesecakes. Keep me posted on what you do!